Registration is $25 for Windmore members and $40 for non-members. NOTE: Registration is required by October 24, 2018. 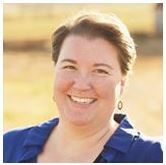 Elizabeth Rees, Marketing Consultant, will present a class on Basic Digital Marketing for authors and entrepreneurs. She has been marketing small businesses since 2006 when she started her own business, A Touch of Love Equine Massage Therapy, in North Carolina. From there she marketed the farm where she worked, Hitching Post Stables. This included everything from print ads to a commercial. Methods have changed a great deal since 2006 and Elizabeth has been building her digital marketing skills. Digital advertising is essential to any entrepreneur or author today. Elizabeth holds a BA in Liberal Arts and an MA in Criminal Justice. She joined Windmore’s Pen-to-Paper in the spring of 2018. Currently, Elizabeth is working with several businesses to help them build their digital presence. For more information call 540-547-4333 email pen-to-paper@windmorefoundation.org. This entry was posted in Pen-to-Paper and tagged marketing, October 2018, Pen-to-Paper, Rees, web-marketing by Gail Matthews. Bookmark the permalink.